However you arrange these sentences, they’re not the Buddha’s words. They just aren’t. 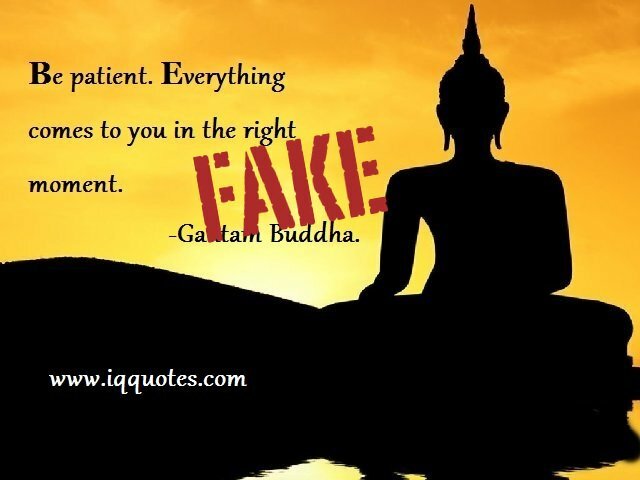 They’re all over the internet, attributed to the Buddha and as an unattributed quote. At the moment I’ve no idea where they’re from. I’ve found them in a few recently published books, but it looks like they were simply unattributed and unacknowledged borrowings. “Everything comes and will end in the right moment” are one of the main path for the Buddhism and Buddha did say it in many different book. That’s not a fake. I don’t recall seeing anything like that in the scriptures. Can you give me a reference, Thein?